Note: I recently spent two weeks in Korea, this series of posts are my notes and logbook from that time. The notes were written in real-time and where I feel like I have left out details in the original notes I have tried to include more information. The text may jump between time periods due to the constant nature of the note taking. BAM attempts to answer this question using a variety of media and exhibitions including a film where a woman receives a blood transfusion from a horse. 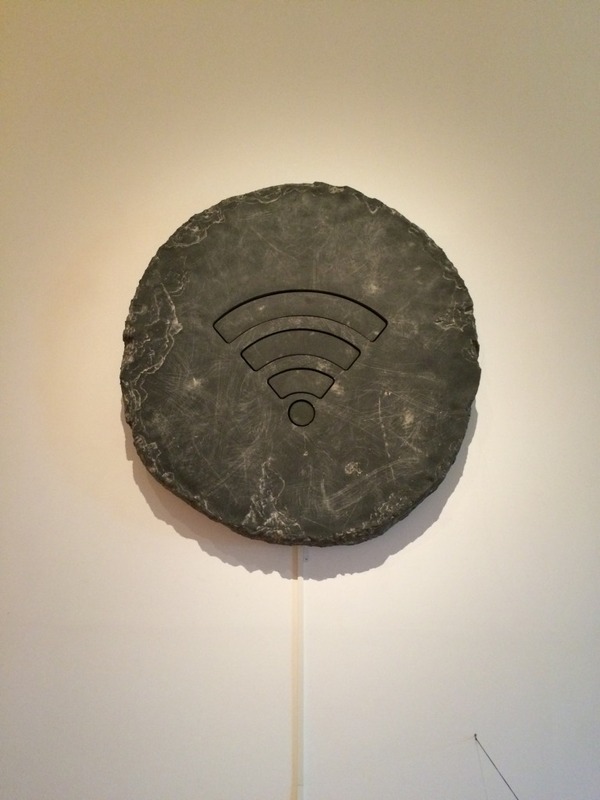 My favourite piece had to be a giant piece of stone with the wifi icon carved into it. To me this piece showed the importance we place on an Internet connection. The stone was shaped and created in a way that made it look like it had been dug up from an ancient civilization. Something I found really interesting about BAM was that on each piece they had an NFC tag explaining the piece in both English and Korean. This is interesting because iOS devices don’t have an NFC reader. It really shows how entrenched Samsung and Android are in Korea. We left and grabbed some lunch in Haeundae and headed back to the hostel. Afterwards I made my way over to Centum City to check out the shopping centre and Busan cinema complex. I’m not a big one for shopping so I just wandered around and checked out what was happening in the various stores. Dinner was uneventful and I’m now writing this from a coffee shop near Haeundae beach before heading to bed and getting ready to leave for Seoul tomorrow. 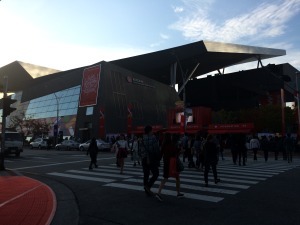 NextNext post:South Korea – Day Thirteen, Last Day!